The International Contemporary Dance Festival “New Baltic Dance” is an annual event, organized by Lithuanian Dance Information Centre and Vilnius Festivals since 1997. It is the largest and the most important dance event not only in Lithuania but also in the Baltic States, with more than 2,700-3,000 spectators every year and more than a dozen stage arts professionals from around the world. 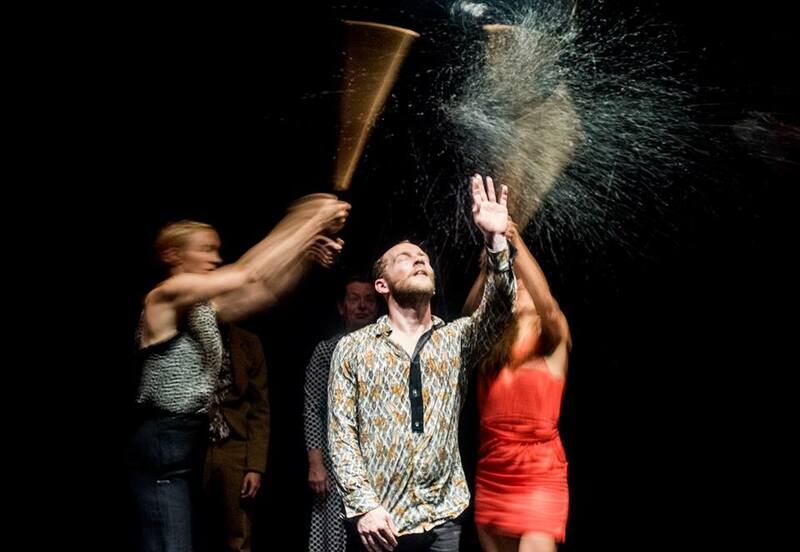 During its existence, the festival has contributed to the growth of the cultural life quality in the country, encouraged the development of a variety of stage arts, initiated relevant discussions amongst the audience and the participants of the festival, initiated networking between the performing arts organizations and independent artists at the national and international level, and strengthened the Lithuanian contemporary dance community and its influence on international dance and performing arts markets. The event also continues to support development of performing art management, criticism of dance and related fields, and growth of contemporary performing arts audiences. The Festival “New Baltic Dance” aims to present top-level professional dancers of different genres and formats from Lithuania and abroad. The programme is based on the principles of relevance, exclusivity and conceptuality. The other goals of the festival are to provide visibility and possibilities for young choreographers from Lithuania and abroad to show their works; introduce international artists from regions with difficult geopolitical situations; reach gender equality in the artistic programme; present the diversity of dance forms and topics; develop long-term connections between artists and audiences, expand the festival, and promote partnerships between different organizations and institutions. This year “New Baltic Dance” takes place from 29 April–12 May in five different cities in Lithuania. It will be the 23rd edition of the festival. The 2019 programme features 20 performances and guests from the Cape Verde Islands, Australia, Canada, Lebanon, France, the Netherlands, Belgium, Italy, Greece, Germany and neighbouring countries – Latvia and Estonia. This year, the first Baltic Dance Platform will be organized as part of the festival (9-11 of May). The Baltic Dance Platform aims to present the contemporary dance of three Baltic countries (Lithuania, Latvia, Estonia) and also to promote networking and collaborations between contemporary dance artists and different institutions, spread information, urge the realization of joint projects, and develop possibilities for educational activities. The festival is curated by its artistic director and is by invitation only. Seeing works in person all year long is important, as is watching videos and sharing information between international colleagues and also considering recommendations from artists. The programme is usually complete five to seven months in advance. The festival is supported by the Lithuanian Council for Culture, the Vilnius City Municipality, embassies, and international funds.